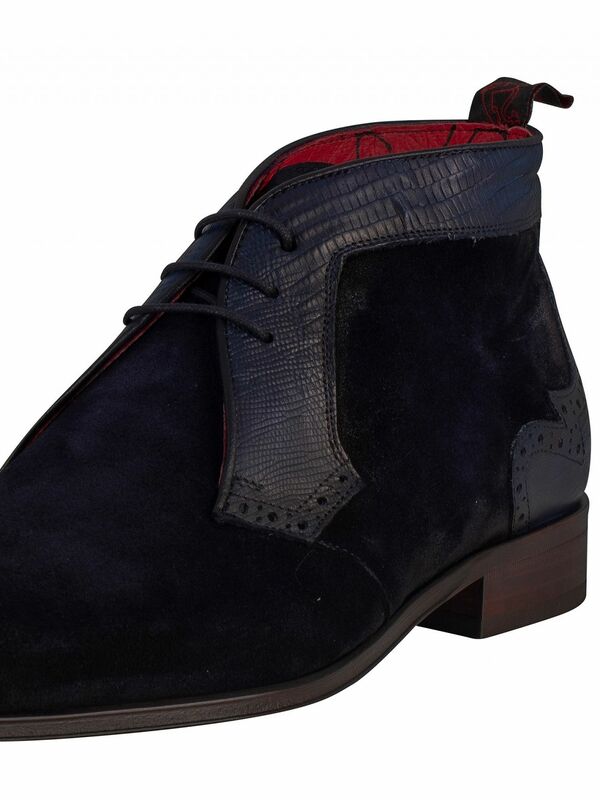 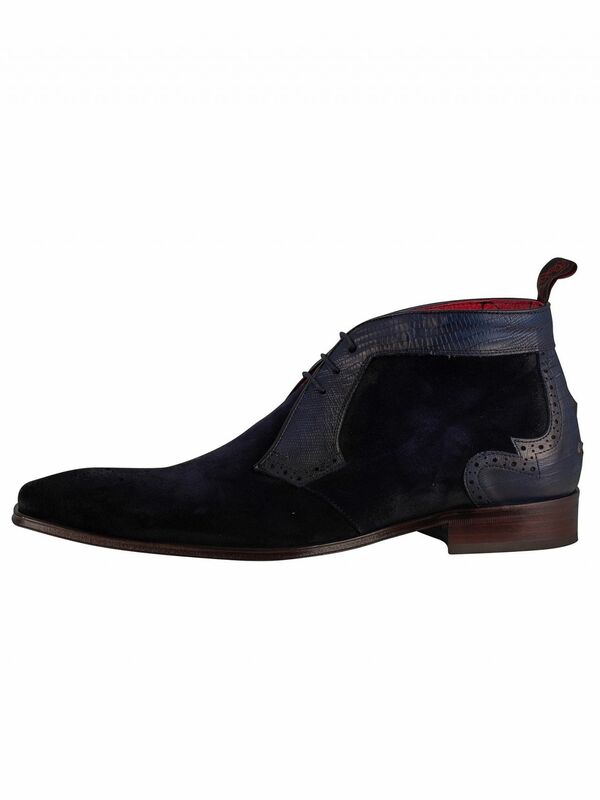 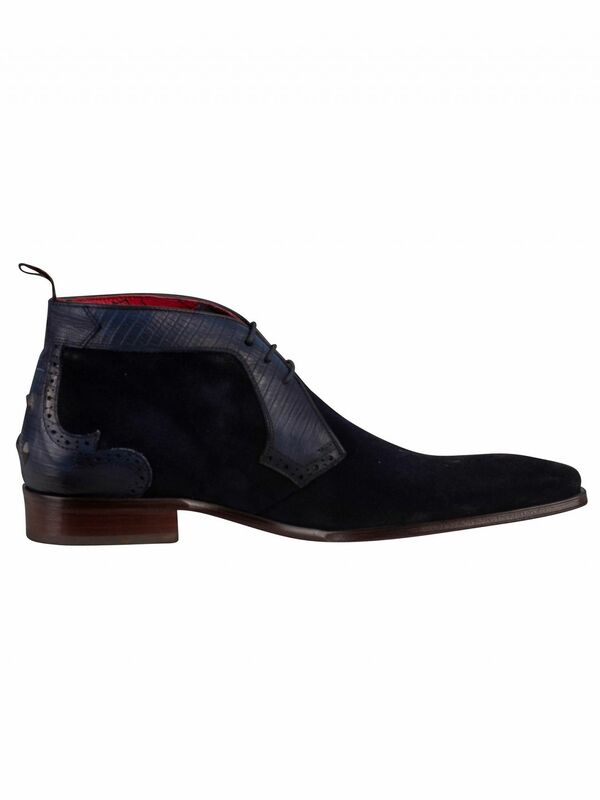 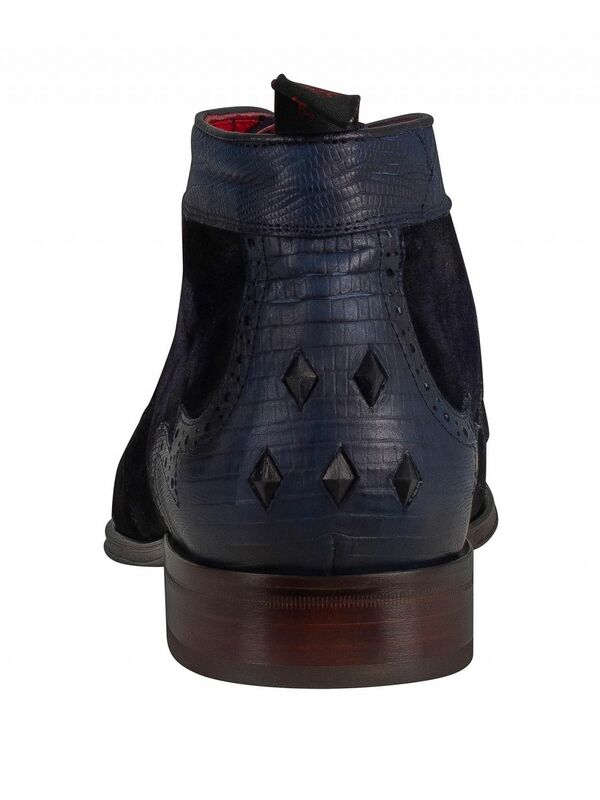 The Velour Tejus Print Shoes from Jeffery West comes in Dark Blue colour, featuring detailing on heel and collar. 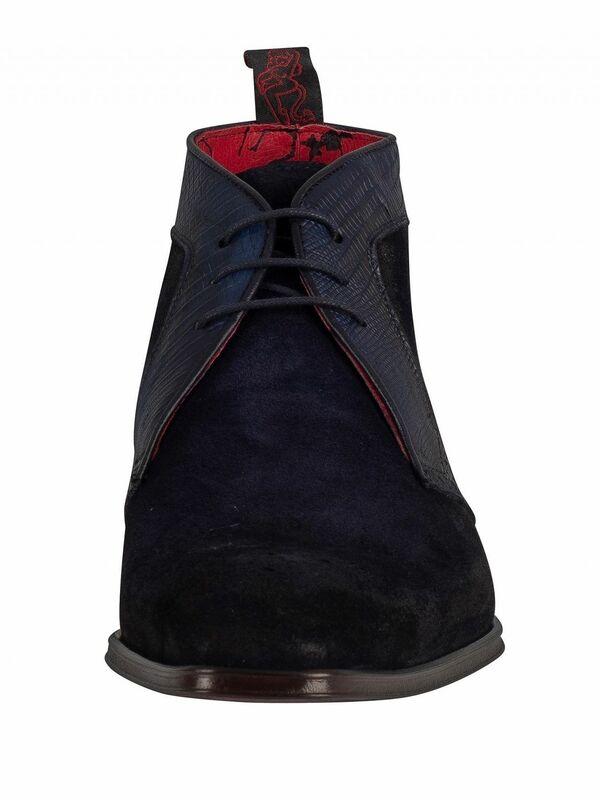 Along with branded sole, these boots features diamond studs on heel. 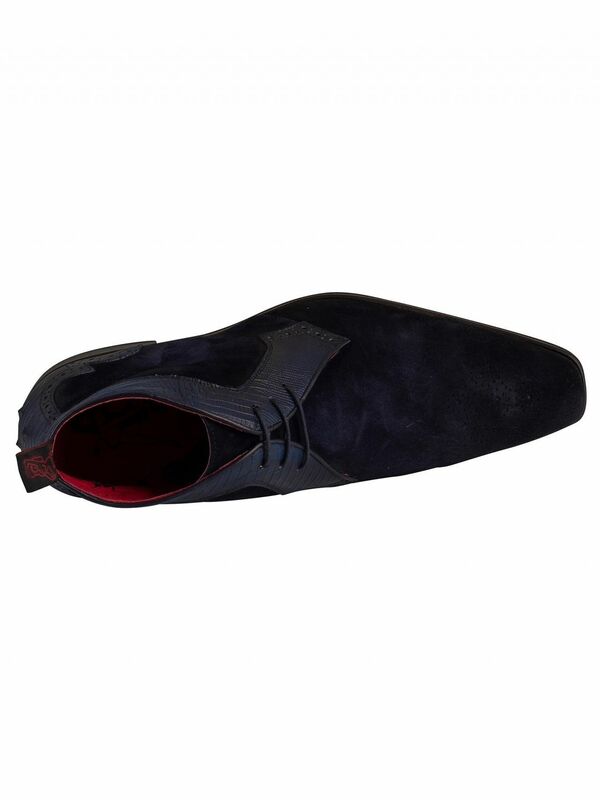 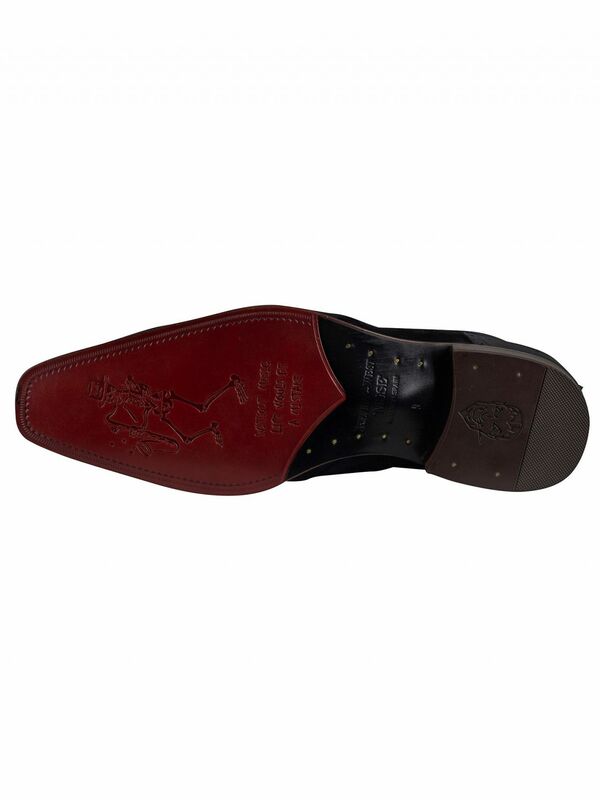 With laces below the tongue and a high collar, these shoes have a protective tongue and point shaped toe.